but haven't done anything creative for a while as my Ph.D. and its completion is forefront at the moment. Tomorrow I'm off to Glos to co-lead a Mindfulness and Poetry retreat which will be great fun and then the next few weeks will be Ph.D. focussed but after that ... free time for some fun and creativity!! 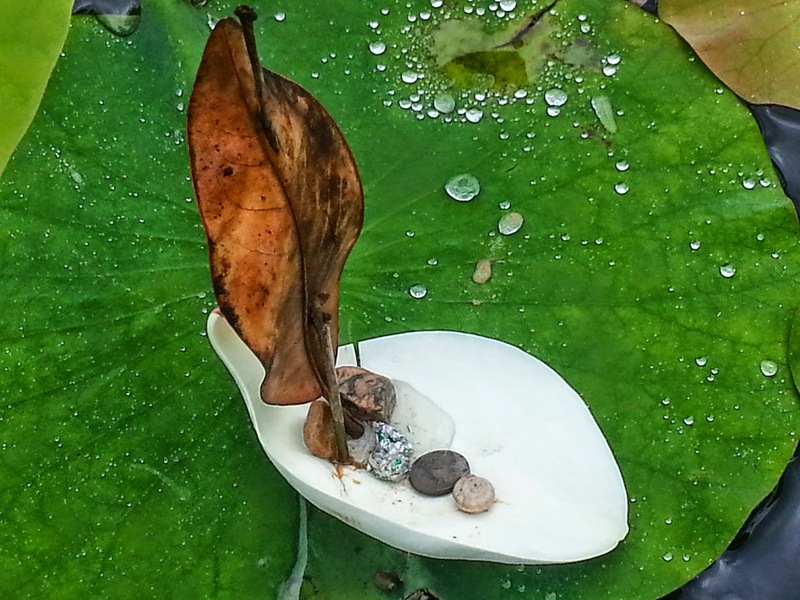 So I'll share this with you for now, a little boat I made out of a magnolia petal and leaf, and the poem that accompanies it. large enough to be the whole hull. a coin and screwed-up silver foil. are limited to say the least. to discover new, unchartered lands. But this sailboat is for dry dock only.